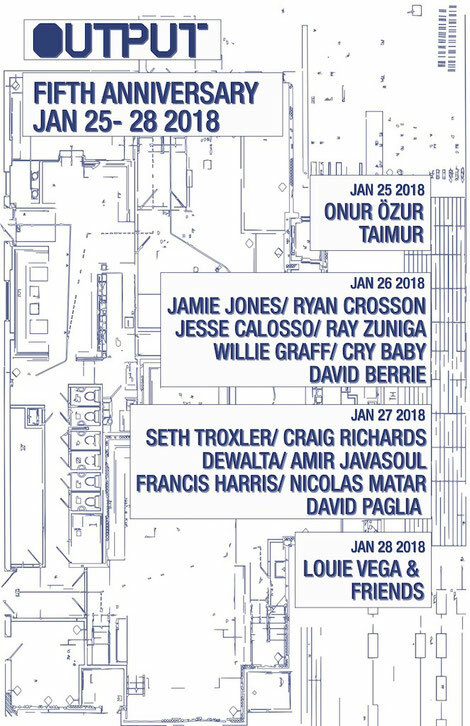 Fresh off of winning Club of the Year at the Electronic Music Awards in September 2017, New York City dance music club, Output, recently announced its five year anniversary celebrations which will run from Thursday, 25 January through to Sunday 28th. The festivities kick off on the Thursday with Onur Özer taking the reins in The Panther Room, the intimate side room of the club with a fireplace as a backdrop, alongside Blkmarket Membership and The Selectors’ founder Taimur. Hot Creations boss Jamie Jones headlines the main room on the Friday, joined by one of the first DJs to grace the decks at Output, Visionquest co-founder Ryan Crosson. Also appearing is Cuttin’ Headz’ Jesse Calosso plus an array of club favourites in The Panther Room including Ray Zuniga, Willie Graff, Cry Baby and David Berrie. On Saturday, 27 January, club resident Seth Troxler brings his style to the Funktion-One sound system joined by fabric London resident Craig Richards and DeWalta. Talent in The Panther Room includes Francis Harris, Amir Javasoul, Nicolas Matar and David Paglia. Closing out the weekend in true New York style, Grammy Award-winning tastemaker Louie Vega brings his Latin-tinged soulful house to the main room on Sunday, 28 January. In January of 2013 when NYC was saturated with bottle service clubs and celebrity-focused events, Output burst onto the scene, aiming to inject the New York nightlife with a badly needed dose of music-driven culture. 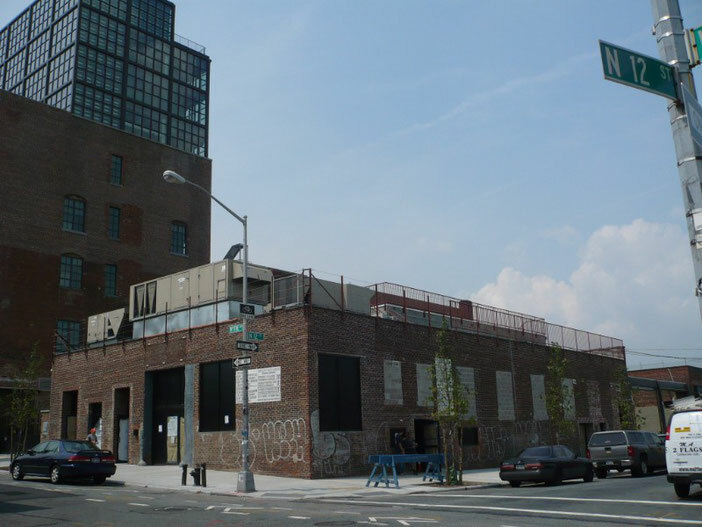 Apparently by returning respect, equanimity and discretion to the community, Output quickly set the pace for what has become a renaissance age in Brooklyn’s underground. The venue has continued to try and stay ahead of the pack and in the last year alone has installed an upgraded sound system, intelligent lighting design and a freshly renovated DJ booth and dance floor. In addition to the longstanding Input nights, which showcase the more visible electronic music artists in the industry, the club has introduced Friday Night Live featuring live bands on The Roof at sunset from May through to September; Output Grayscale, the experimental, industrial techno event series and Focus, a spotlight series highlighting one artist playing open to close in each room.